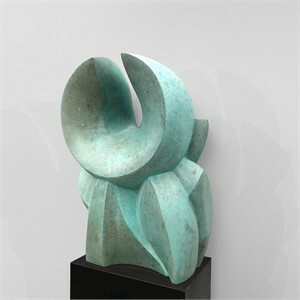 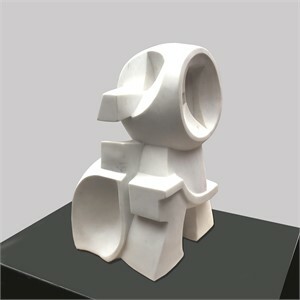 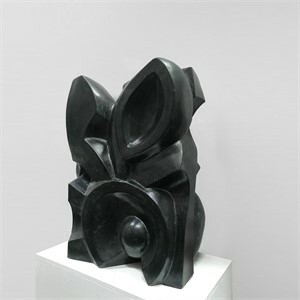 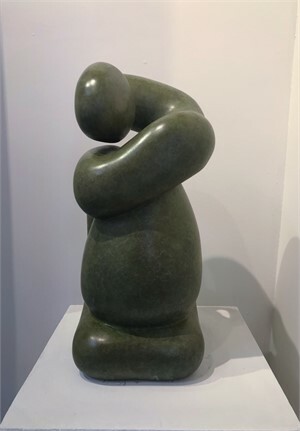 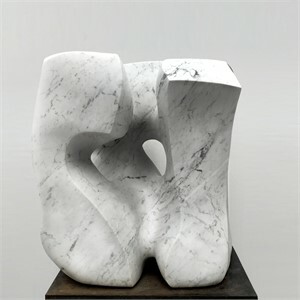 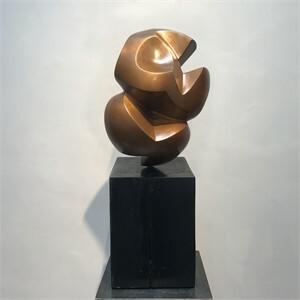 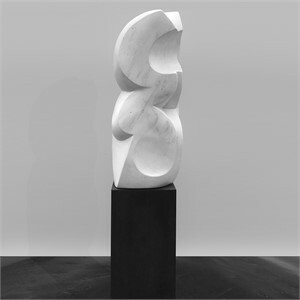 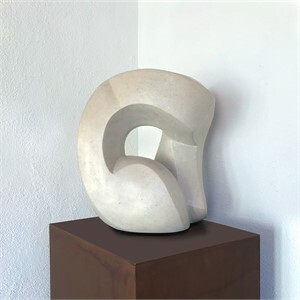 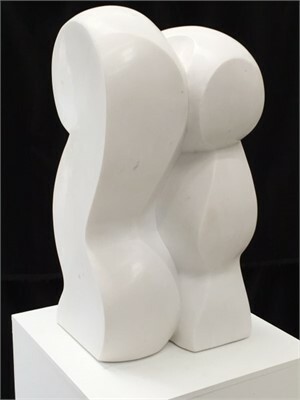 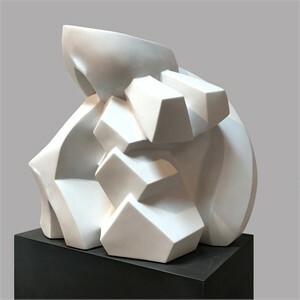 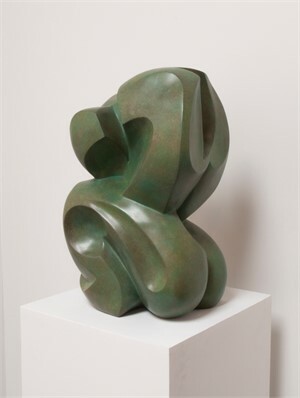 Born in Hollywood in 1953 and educated in Europe, Michael Wilding moved to Santa Fe where he began his career as a stone sculptor, focusing on abstract form. 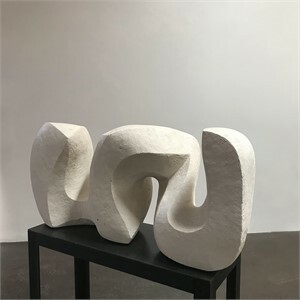 An aesthetic descendent of such sculptors as Brâncuși, Picasso, Noguchi, and Arp, Wilding’s aim is to create unified works of elegance and simplicity. 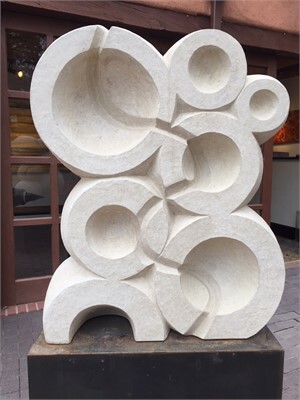 Whether working with limestone from a local Belen, New Mexico quarry, Belgian Black or Portuguese Pink Marble, his work always begins with the consideration of different types of stone: their density, the size of the crystal, the hardness of the stone, and the way each stone permeates lights. 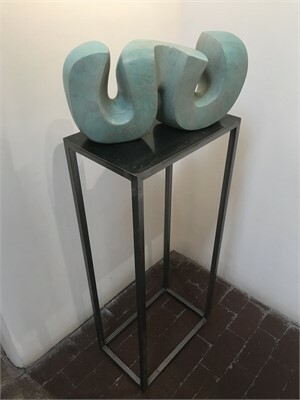 Where do songs come from? 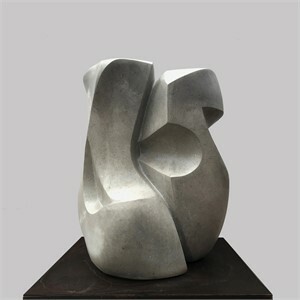 is one koan he uses. 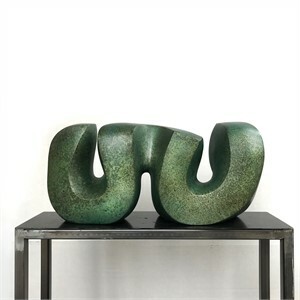 A musician of 20 years, he can be found sculpting as jazz or rock & roll inspire a sense of movement and fluidity for a sculpture. 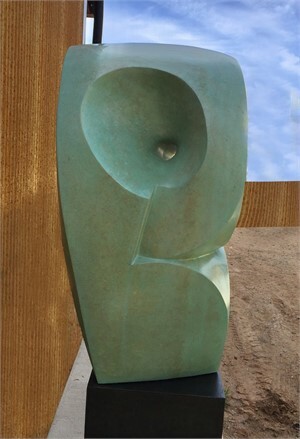 When Wilding works, he says, there is always a soundtrack.